Hello friends! It’s been a few months since we touched on the Ageirings and the Tualings, the warring Bjorning and Græling clans that occupy the uplands of Sudstrond near the Gull Pass in the Middarmark. If you play In the Shadow of the Horns, the adventure included in the Middarmark Gazetteer, Jarl Stigand of Castle Valborg will have a vested interest in control of the hidden Græling armory that is Svana Goldnose’s ultimate objective. 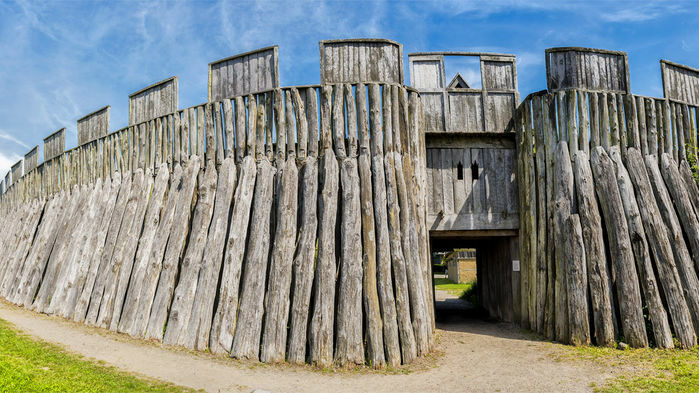 This wooden motte-and-bailey keep and village controls the western end of the Gull Pass through the Trollfjells, connecting Jeilirdal with Sudstrond. Stigand, last scion of the Ageiring jarls of Sudstrond, has established his court here—a handful of aging but loyal huskarls and their families. The folk of Stigand’s court are Bjornings, while most of those who work the land are Grælings. 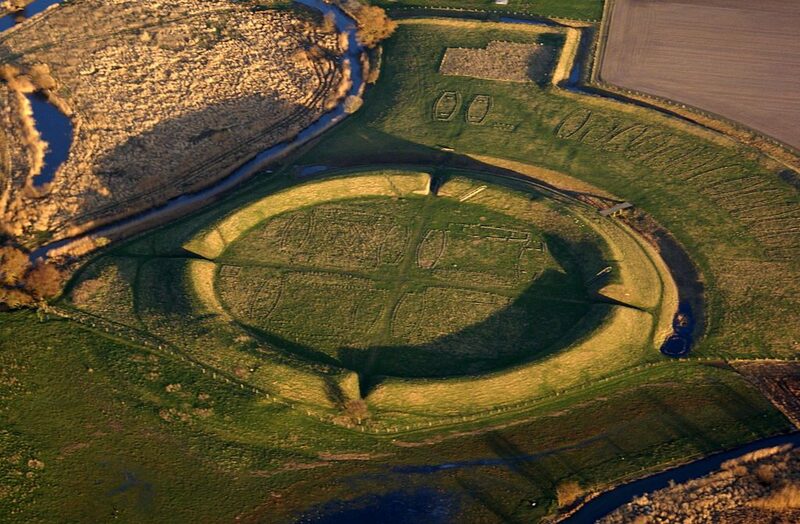 The uplands of Sudstrond are festooned with ancient ruins from the days of the Græling-Sakki wars, abandoned steadings and the lairs of many monsters from the Trollfjells. Staying at a home or the keep requires family connections or the Rites of Hospitality. The forge and workshop provide the Use Facilities function of a guild hall, but only for certain skills. Forge: Armorer. Workshop: Carpenter, Cook, Peasant and Weaver. Using the forge requires the hospitality of the keep, while the workshop requires the hospitality of a home or the keep. Cooperation with Scefings is a criminal act. Punishable by execution. Denying Jarl Stigand’s right to rule Sudstrond is a criminal act. Punishable by public humiliation. Murder is a criminal act. Punishable by weregild or outlawry. The Jarl of Sudstrond is a serious young man, driven by the need to win back his ancestral holdings and gain revenge for the slaughter of his family nine years ago at the Battle of Sølvfjord. 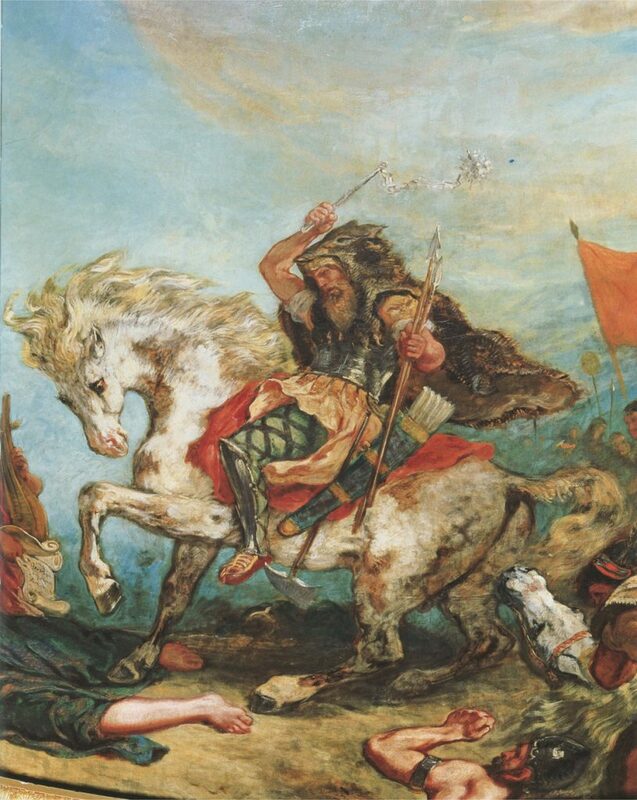 He was only 10 when a handful of loyal huskarls fled Stortmarke with him in the wake of that disastrous battle. They spent several years in hiding before establishing a new court at Valborg. Stigand’s ultimate ambition is to retake his family seat at Stortmarke, but he is in desperate need of resources to draw and maintain a warband fit for the task. For now, he seeks to establish control of the Gull Pass that he might tax trade flowing along the Sølvveien between Jeilirdal and Sudstrond. The rebellious Tualing clan has other plans: They want nothing less than to destroy Stigand’s clan and reclaim their ancestral lands. The elderly and blind Solveig is Stigand’s great aunt, priestess of the Ageiring ættir and a terrifying witch known for her gift of foresight. Even Gorm, master of Svarttårn, is said to covet her gift of prophecy. The gift has failed her only once: on the day of the Battle of Sølvfjord, the vision of blood and fire did not come to her until the Ageiring fleet had already set sail. Solveig is frequently attended by her raven familiar, Gobbet, and her apprentice, Afrid. While Stigand turns his attention to reclaiming what has been lost, Solveig is consumed with bringing about the end of the Tualings. She knows that the Ageiring clan won’t prosper until the Tualings have been dealt with once and for all. Frode is Stigand’s champion and the leader of his few huskarls. 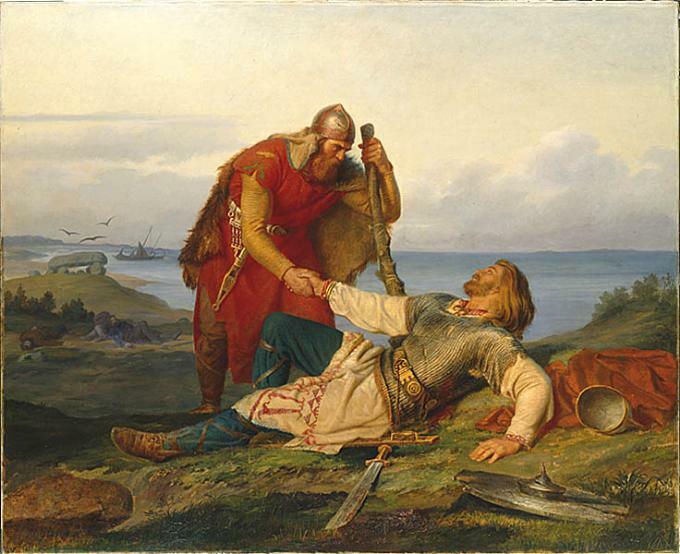 It was Frode that brought Stigand and Solveig out of Stortmarke when the city fell. He remains the young jarl’s most stalwart supporter. The aging Frode’s sword arm is not as strong as it once was, and he privately worries that Stigand’s ambitions will lead the clan to its ultimate destruction. Frode’s son, Hall, will soon take his place among Stigand’s huskarls, and his daughter, Afrid, serves as Solveig’s apprentice. Mullen, bent and gray, is a thrall. The people of Valborg say he comes from Svanland across the sea. The fey old man is mute, but he is possessed of a rare gift: Animals of all sorts seem to understand his strange whistles, and he, in turn, seems to understand them. It is certain that ill and injured animals, domestic or wild, seek him out and flourish back to health under his care. The people of Valborg say he is beloved of the Lord of Beasts. Hello friends! Note that I’ll be at PAX East next Thursday, so there likely will be no post next week. The Fury of the Lords of Life and Death is a potent prayer given to first-level clerics. But perhaps it doesn’t quite fit the concept of your character? Just for you, here are seven alternative prayers for your cleric. Choose one blessing. Your cleric knows this blessing in place of Fury of the Lords of Life and Death. Your cleric may use this blessing once per phase. Breadth determines who gets the advantage dice. Each blessing has a duration of one turn. In the Icelandic sagas, draugr are malevolent beings. It was said that you could tell who was likely to become a draugr in death because they died sitting up — in other words, alone as a miser rather than in bed and surrounded by loved ones. Sea-draugr are something else again. Though they share many characteristics of their land-based ‘cousins’, the tales seem to reflect the loss and guilt felt by those left behind when their loved ones were lost at sea and unable to be laid to rest with their ancestors. 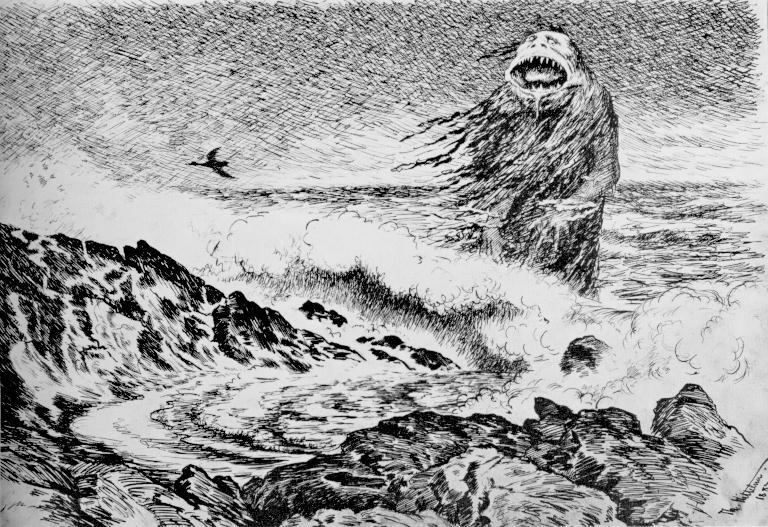 In these stories, the sea-draugr often seek to return home and take up their old lives, only to be refused and shunned by their living families. The living are left with feelings of guilt and shame from these encounters, while the dead must return to their frigid, watery graves. The sea-draugr play an important role the Bridge of the Damned adventure, so here’s a first look. What do you think? I’m still recovering from the Bridge of the Damned Kickstarter, so we’re going to keep this week’s post short and sweet. I know some of you have been wondering how to make higher-level starting characters in Torchbearer. This is for you. This is playtest material. We’ve made lots of characters up to third level and been pretty satisfied with them, but we haven’t tried heroes of even higher level in play. If you use these rules and bring the characters to the table, let me know how they play! Hello friends! Happy Torchbearer Thursday! This post has been cross-posted with my Bridge of the Damned Kickstarter project. Please back it if you’re interested in seeing the finished project! The amazingly talented Kurt Komoda sent me some concept sketches of the Bridge of the Damned cover yesterday and I wanted to share them with you. Hello friends! Today’s Torchbearer Thursday post is a couple days early (we’ll actually probably have another post on Thursday). It has been cross-posted with my Bridge of the Damned Kickstarter project. Please back it if you’re interested in seeing the finished project! Hello friends! Today’s Torchbearer Thursday has been cross-posted with my Bridge of the Damned Kickstarter project. Please back it if you’re interested in seeing the finished project! 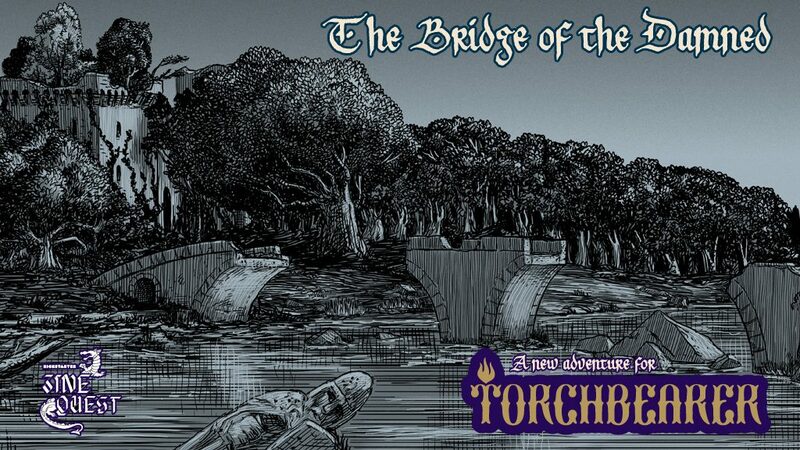 We’re excited to introduce the Kickstarter for our latest Torchbearer project: The Bridge of the Damned. Follow the link to back this project and help me bring it to fruition! My apologies, but if you’re here for the announcement of the new Torchbearer adventure Kickstarter, we’ve opted to push it back by a day. Sorry if you’ve been waiting with baited breath, but thanks for your interest! We’ll launch tomorrow instead (Monday, Feb. 18). I’m not sure what time, but we’ll make sure to post here, on the Burning Wheel HQ forums, the Torchbearer RPG Facebook page, the Torchbearer subreddit, and I’ll post it on my Twitter account too.